Hatsune Miku papercraft. 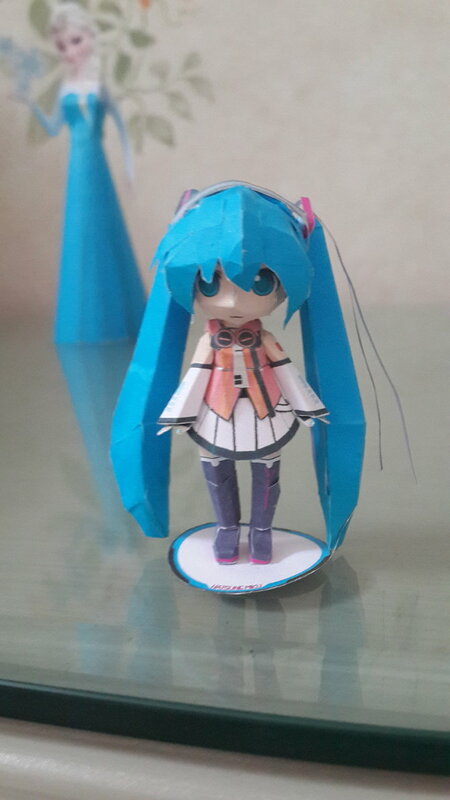 This figure of Miku is made of paper. How do they do that? Shes so cute there.. HD Wallpaper and background images in the hatsune miku club tagged: photo hatsune miku papercraft. This figure of Miku is made of paper. How do they do that? Shes so cute there.